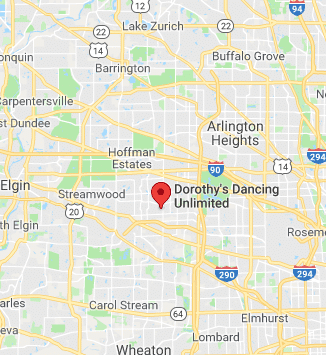 Check out our newest location located in Schaumburg, we will be teaching at our NEW Windy City Wedding Dance location on Wednesdays and Thursdays. Work with ballroom world champion Tommye Giacchino on your next wedding dance. We are located right off Interstate 290 on Roselle Road. Ready to schedule your next dance lesson?